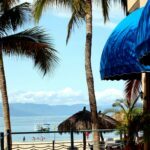 There are many reputable websites such as TripAdvisor or vacation club forums where you can get information about some of the timeshare providers who operate in Mexico to find timeshare reviews. The Villa Group benefits from many highly positive timeshare reviews on quite a few different forums. These Villa Group timeshare reviews are independently submitted by customers of the Villa Group and deal with all aspects of the company including the accommodations, facilities, beaches, services, and the on-site spas. The accommodations of the Villa Group timeshare resorts are often highlight by reviewers as being some of the best around, and a big highlight of buying a Villa Group timeshare. Each is elegantly designed to be spacious and luxurious with a lovely balcony to catch the views from! The facilities offered by the Villa Group resorts usually come out on top in customer timeshare reviews, and in many cases come in the top 25 hotels and resorts for the area on TripAdvisor. 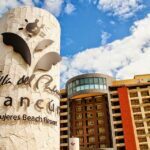 Though every resort is different and has its own features, you will find that each has its more than one swimming pool, a variety of excellent restaurants, gyms, bars, and even kids clubs! The level of service provided by each of the Villa Group owned and operated resorts is commonly complimented upon by those who stay in them. The warm, generous hospitality offered by the timeshare resorts’ staff is often cited as being exceptional. The beaches attached to Villa Group resorts are a key part of the Villa Groups appeal; the reviews suggest that these stretches of beach are well-kept, beautiful, and attached to wonderful swimming waters. They are especially good for water sports like kayaking, and SUP. According to Villa Group timeshare reviews, each of the resorts run by the Villa Group has a world-class spa on site. These are largely considered one of the main attractions at each resort for those considering buying a timeshare. Whether you book a luxurious and relaxing spa treatment, or want to make use of the hydro therapy circuits you’ll find that you can have five star treatments without even leaving your hotel! If you have experience of Villa Group timeshare and the resorts they offer then please share your thoughts, timeshare reviews and recommendations on this blog!